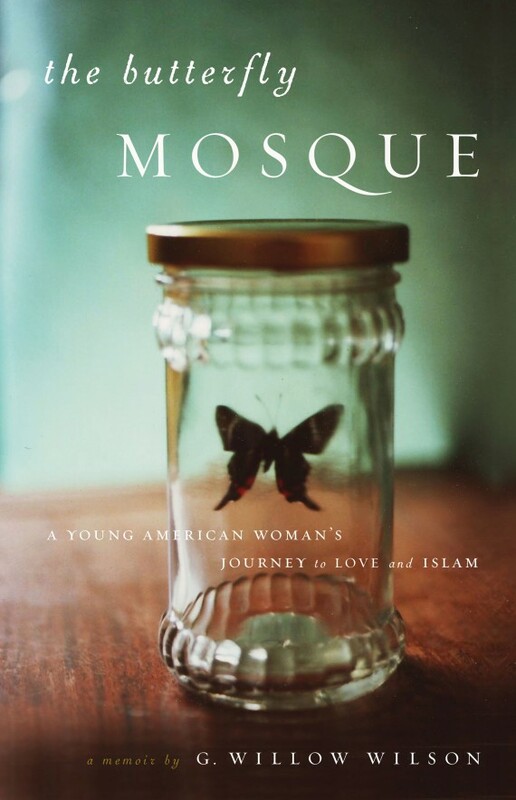 “I had been raised an atheist but was never very good at it,” G. Willow Wilson remarks near the beginning of The Butterfly Mosque, a beautifully clear-sighted memoir of an American woman’s conversion to Islam and her life in Egypt, adjusting to her new faith, her new husband, and her new, increasingly conservative, fundamentalist country. Indeed, my upbringing and personal inclinations made it easy not only to recognize her family’s attitude, but also her feelings as she is increasingly drawn to Islam, both before and after 9/11. To convert before those attacks would have been difficult enough for Wilson but in the days and months following 9/11 it felt like an impossible betrayal. Still, she knew that all she was doing was delaying the inevitable. It wasn’t until Wilson graduated from University and took the opportunity to teach at an English school in Cairo that she was able to fully accept her faith and find both peace and love. Wilson has a refreshing, appealing, centrist view, one that should be more accessible to the average reader than many of the other modern perspectives on Islam (generally one extreme or another). She does a wonderful job of separating her religion and its great personal appeal from the various extreme versions espoused by certain groups and nations – versions which receive dedicated alarmist coverage in the American media. Wilson remains open to Egyptian culture, but is not naïve about her adopted country’s political inclinations. As a journalist, she has the opportunity to meet with some fascinating Islamic leaders, both male and female, making this more than a simply personal memoir. This both is and is not a book about Islam. If you’re looking to learn more about the faith, I’d recommend trying elsewhere (I’ve heard excellent things about No God But God by Reza Aslan). However, if you’re looking for a book about both the personal experience of converting and being an obvious foreigner in an Islamic country, there’s nothing I could recommend more highly. Wilson is understanding of all viewpoints and far more rational than parties on either the right or the left when it comes to considering the barriers between societies. All in all, this is one of the few books about religion that I would feel comfortable recommending to everyone, regardless of their political or religious inclinations. Faith is an incredibly powerful force and as globalisation pushes us closer together, it is more important than ever. It is the lens through which many hundreds of millions of people view our complex and diverse world. Technology and modern media are bringing those from other faiths and cultures together faster than ever before. Too often, young people hear a distorted view of other faith traditions. 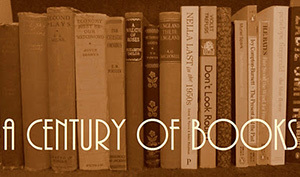 To be religiously illiterate in this world is foolish and dangerous. We saw this film competition as an opportunity for young people to share, in their own words, what their faith means to them. We hoped their personal stories would help increase understanding between the main faiths, break down stereotypes and show a more positive face of religion. I think it was particularly interesting for young Muslims to present to a western audience what their faith means to them, and in so doing correct some of the misapprehensions and misunderstandings that exist around Islam. I like the sound of this. Thanks for the great review. What a brilliant review of a fascinating sounding book. I come from a fiercely atheist family and have somehow ended up a committed Christian in a world where religion seems to become more and more alien and pointless to the majority every day. I can’t imagine what it must be like for a white westerner to convert to Islam. This is going on my to read list – I want to understand Middle Eastern cultures better and I like the fact that this is an even handed book that doesn’t attempt to blame or sympathise with either side of the culture divide. I think you’d really enjoy this. Willow is only a few years older than us (she was born in 1982) so it’s even easier to empathize with her. Probably a good book for your American reading endeavour as well, given the insights into national attitudes and behaviours both at home and abroad. Looks like a very interesting read and one that truly will bring quite a bit of discussion to forums on these topics! Definitely an interesting read, but more quietly presented and balanced than the many other offerings meant to promote energetic debate! The book sounds like something I need to read. And that initiative is something I feel very strongly about. I hadn’t heard about it before, but anyone can tell you that I always advocate that people get educated on religion, instead of relying on the media for their opinions. I think, given your interest in non-biased education on religions, you’d find this fascinating. I’d be interested to hear what you think! We have just returned from living in our beloved Morocco for two years. We live in Manhattan and were here for the attacks of 9/11. about a mile down the road…. We have many Muslim friends and get really upset by the demonization of Islam. All very complicated and vexed. I just get very sad when people imagine that they have all the answers. Glad to have discovered your thoughtful blog. Hi Elizabeth, thanks for stopping by. Living where you have, it sounds like you’d have a fascinating perspective on interaction between the West and the East. Oh yay: I’d already requested this from my library based on another review, but you have me even more excited to read it! I’ve been having so many problems trying to find a good book about the interaction of Islam and the West. *sigh* I do need to try that Aslan book, though, since I’m on the hunt for a good intro to Islam (to recommend to a person I know who watches Fox news). One of my Muslim friends at work recommended the Aslan when we were discussing The Butterfly Mosque last week. She bought a copy a few weeks ago and she, her husband, and her daughter (who is about our age) have all read and enjoyed it. That’s a good enough recommendation for me! I ,too, have a misguided friend who watches Fox News. We in the US have been so brainwashed into being terrified of Islam when it is only the teeniest portion of misguided people who hate us. A very small minority of ‘Christians’ here are very busy hating people they don’t know or understand…….. This sounds great! I’m always interested in the factors that make people convert to a faith. It’s easy for me to see how people can lose their faith, and although I find that interesting as well, I’m fascinated by it when people who have not previously accepted religion find themselves drawn to it. Thanks for the recommendation! I’ve always been fascinated by stories of people who convert, particularly to Islam, so this was a perfect book for me. Hope you do have a chance to read it soon! Dare I say it, that I think it is the Muslim radicals, that need to be re-educated in what Islam stands for. As long as there are so many misunderstandings between various groups, I can’t think of education as anything other than a good idea for all parties. Your side note reminded me of when I heard Eboo Patel speak at a conference. Patel is the founder of Interfaith Youth Core, a non-profit movement that promotes active interaction and understanding between youth of different faiths. The audience for the conference consisted of people in higher education administration and student affairs. Patel said something to the effect that higher education is making a mistake by often regarding religion as a taboo topic for discussion in universities. I am a big believer in more dialogue rather than less. Sounds like an interesting conference!